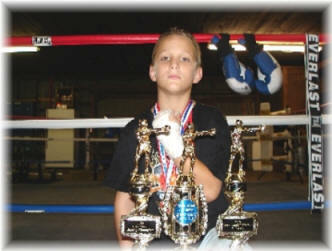 Located in Newton Texas on Highway 190 across the street from Brookshire Bros. grocery and next door to the Dollar General store , our Club provides recreational and competitive boxing classes for youth and adults. Our 2600 square foot climate-controlled building is outfitted with speed bags, heavy bags, weight resistance stations and a practice ring. Our larger facility offer more opportunities for male & female adult non-boxers to improve their health and reach their personal fitness goals. 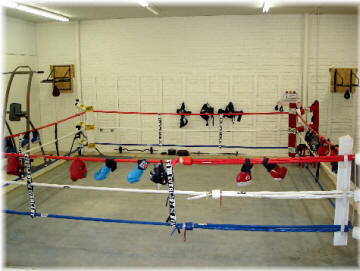 We have the additional room and training equipment to better prepare our amateur boxers for competition. 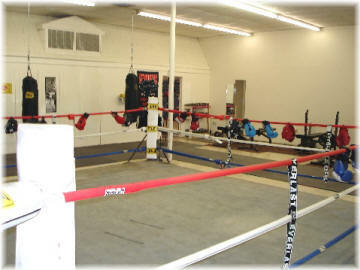 Newton Gym & Boxing Club began operation in July of 2005 and has participated in numerous bouts sanctioned by USA Boxing®, the national governing body of amateur Olympic-style boxing, and is the United States' member organization of the International Amateur Boxing Association (AIBA) and the national governing body recognized by the United States Olympic Committee. 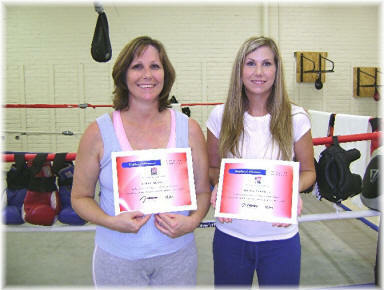 Our Club is registered and certified with USA Boxing®, Gulf Region L.B.C. 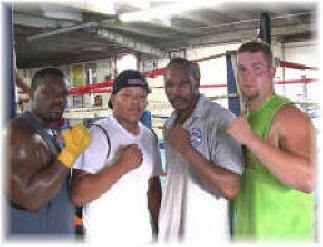 At Newton Gym & Boxing Club, we strive to teach more than just boxing skills. Positive moral attitudes and social skills are stressed and youth members must conform their conduct themselves accordingly and acknowledge the Newton Gym & Boxing Club Code of Ethics. Our volunteer coaches dedicate a combined total of over 50 hours weekly to work with each member, no matter what level of experience. They work "one-on-one" to assist our youth and adult boxers in achieving their goals while challenging their discipline and abilities. ADULT STRENGTH & CONDITIONING PROGRAMS TOO! We also have exercise programs for adults of any age who wish to improve their health and get in better shape, but not for boxing competitively. Reach your personal goals with a variety of cardio drills and resistance training stations! Joey Miller, 47 began his weight-training and fitness program with the Club in December, 2008, and his progress has been a benchmark and inspiration for his 6:00pm adult group. In May, 2009, 6'-2" Miller has trimmed his weight from 248 pounds to 207. Joey's challenging work schedule as Public Works Director for the City of Newton and his extensive community volunteer commitments haven't interfered with his determination to workout 4 hours a week at the Gym ... and love every minute of it! He accepted the volunteer position of Core Conditioning Coach and leads the session following the group's cardio and resistance training program. Chick HERE to read an Email Joey recently sent us. Click HERE For More Info About Our Adult Strength & Conditioning Programs! The Club normally is open Monday through Friday at 4:00pm. Junior and senior boxers' training sessions begin at 4:00pm and normally end at 6:00pm. 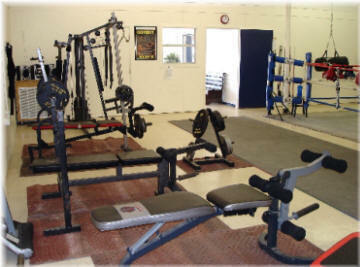 The Club is open to adult male and female non-boxers for cardio and weight-training from 4:00pm. 'till 7:00pm. 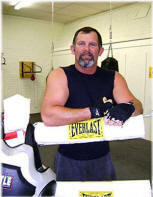 Monthly dues for adult non-boxer programs are $30.00 per month. 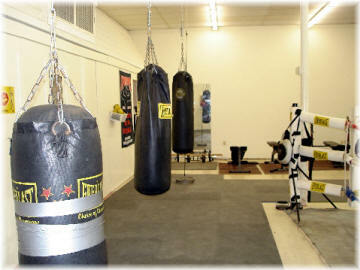 Newton Gym & Boxing Club is a non-profit corporation and it is solely supported by contributions & small monthly fees. 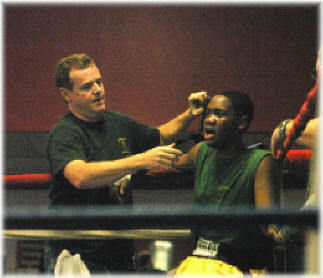 Amateur boxers pay a one time cost of $50.00 per calendar year to USA Boxing®, and $25.00 per month dues to the Club. USA Boxing® is a 501(c)3 non-profit corporation and donations are tax deductible. No personal trainer fees at Newton Gym & Boxing Club during normal hours! The coaches and adult group leaders are volunteers and we strive to assist our members in gaining better health and self-esteem. Financial support from individuals, businesses, and civic organizations assist our 100% volunteer staff to provide area youth and adults with a great facility, training mentors and a positive environment. SPECIAL THANKS to the City of Newton for their sponsorship of our Club's activities in support of our area youth!